Why does not Nepal Tourism Board open its branch offices in major European cities to promote Nepali tourism? After completing a year of study in France, I came back to Nepal recently. The journey was costly and I had to face a lot of hassles at the airport. If Nepal had a direct flight from and to Paris or any other city of Europe, the journey would be much shorter and less costly. We are facing a lot of problems in lack of direct flights to and from many countries. It has directly impacted our tourism. Most people coming to Nepal have to come via transit in India, where Nepali passport holders have to face grilling, discrimination and flight delay almost every day. My fight was delayed for two hours. 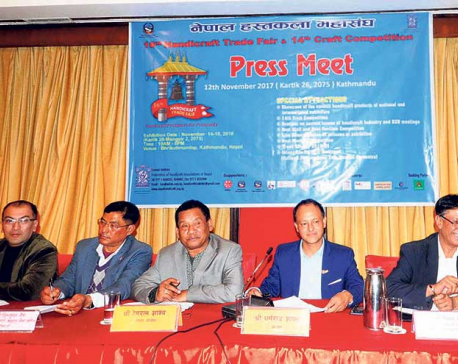 Nepal has announced ‘Visit Nepal 2020’ aiming at bringing minimum of two million tourists. But the government does not seem to have made necessary preparation for making this event successful. Kathmandu remains enveloped in dust, garbage and pollution. The people I met at my school and other places in Europe had very good impression about Nepal. The beauty of our country has fascinated them and they want to come to Nepal to see the beautiful Himalayas. Their only concern was lack of direct flight from their country to Nepal. They said they want to spend less on travel costs and more in Nepal. So this is where we are failing. We are talking about building more international airports but we have not yet been able to expand our flights to foreign countries, the source of our tourists. We need more international flights. For this we need to negotiate with our neighboring countries to allow us to have direct flights from Europe by using their airspace. Many people talk about the quality of Nepal airlines. Many European countries still think our skies are not safe. Thus we need to improve the quality of existing airlines and ensure that our skies are safe. We cannot expect more from upcoming international airports if we fail to manage what we already have. 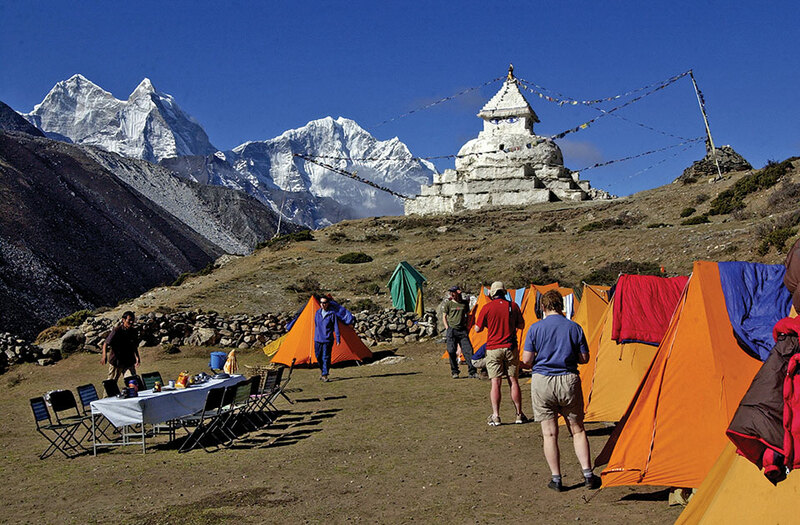 Nepal needs to make travel and tourism sector service-oriented. France attracts a huge number of tourists every year. Annually about 86.2 million people travel to France. More than seven million people visit Paris just to see the Eiffel tower. We can make Nepal the top tourist destination of the world. The fact remains that few European people know about Nepal. Why does not Nepal Tourism Board (NTB) open its branch offices in major European cities to promote tourism? 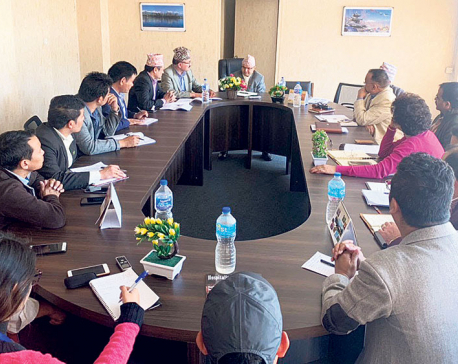 NTB should gear up its strategic campaign with the help of embassies. Besides, we should maintain cleanliness in major cities like Kathmandu, Pokhara and Lumbini. No tourists want to visit Nepal to see polluted and filthy Kathmandu. I met few Nepali people in France and Switzerland where they had gone to attend international tourism related seminars. They said they had promoted Nepal’s tourism and expressed the hope that more European tourists could be coming to Nepal in the days to come. Nepal needs to invest in our tourism promotion across the world if we are to convert this possibility into reality. It is equally important to invest in tourism related infrastructure projects. Tax increase in hotel and restaurant does not help. We need to focus on providing the best services. Let us not impose tax burdens on tourism industries. Hotel and restaurant owners have to pay house rent and staff salaries from the business that hardly runs for four months. The better way of compensating this loss could be by bringing in many more tourists than now. Chinese spends highest ($164.9 billion) on tourism in the world. We need to bring in more Chinese tourists. We can do that if we start providing the best hospitality. France and America get more tourists because of their great hospitality. Besides, we need to think beyond Mt Everest and Lumbini. We can promote many other destinations. Many tourists come just to observe and experience Nepali people’s lifestyles. Village tourism has vast potential to attract tourists. If we can introduce new destination, there will be higher possibility of attracting new tourists. It’s time for Nepal to devise proper policy, strategy, and actions in coordination with private tourism stakeholders. We need to gear up our tourism campaign aggressively with new products and new identity. We have set the target of bringing two million tourists for 2020. We must meet this target.